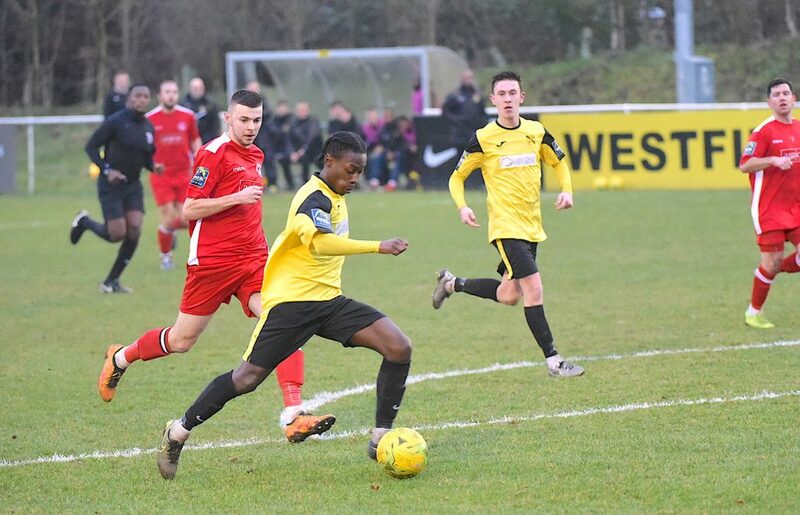 WESTFIELD extended their winning run in the Bostik League to five matches, and maintained their push for promotion, when they got the better of Northwood on Saturday. Yellows’ boss Tony Reid vowed to “keep doing what I’ve been doing” – and it certainly worked, as he inspired his men to a 3-1 victory away at Northwood Park. 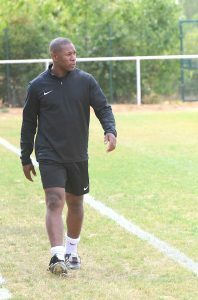 Gregory Hayden put Westfield in front on the stroke of half-time, putting a powerful header past keeper Luke Sheldrick. 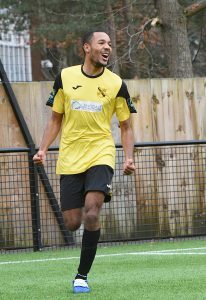 After Northwood equalised early in the second half, goals from Aaron Watson and Tinashe Nkoma sealed the game for The Yellows. “We are more organised and regimented after an inconsistent start to the season, and we have a strong bond among the team,” declared boss Reid. WESTFIELD strengthened their claim for a place in the end-of-season play-offs by sweeping aside county rivals Chipstead last Saturday. The result saw The Yellows climb to fifth place in the table and left manager Tony Reid delighted. 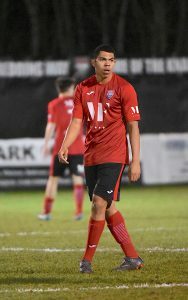 Westfield went into the match on the back of three successive clean sheets, prompting Reid to name an unchanged side from that which overcame Marlow the previous weekend. 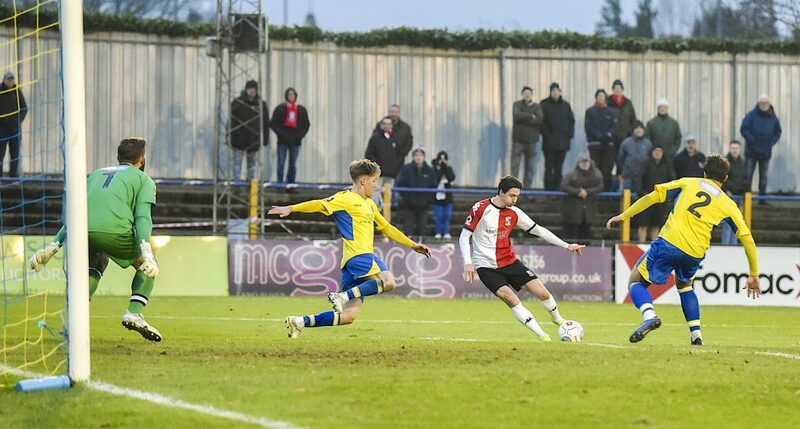 And Reid’s decision paid off after only five minutes at Woking Park. Tinashe Nkoma was put through on goal and curled the ball past Chips’ keeper Taye Ashby-Hammond to hand Westfield the lead. The visitors might have felt aggrieved at falling behind because they played some quality attacking football. Indeed Chipstead put their hosts under pressure, only for The Yellows to ride it out and rock their opponents by doubling the advantage in the 34th minute. This time, Dylan Cascoe created an opening along the wing and set up Antonios Kozakis who swept the ball past Ashby-Hammond. The goal fired Westfield, who could have netted again before half-time. Nkoma slammed an effort against the bar and Louie Downey was just unable to connect with the loose ball. Reid admitted that he was surprised by Chipstead’s attack-minded play so he changed The Yellows’ formation for the second half. A snapshot from Cascoe was saved by Ashby-Hammond, but The Chips hit back to apply pressure again. Westfield conceded a series of needless free-kicks, but keeper Gary Ross was up to the challenge and the home side chalked up another three points in their quest for a Premier Division spot. 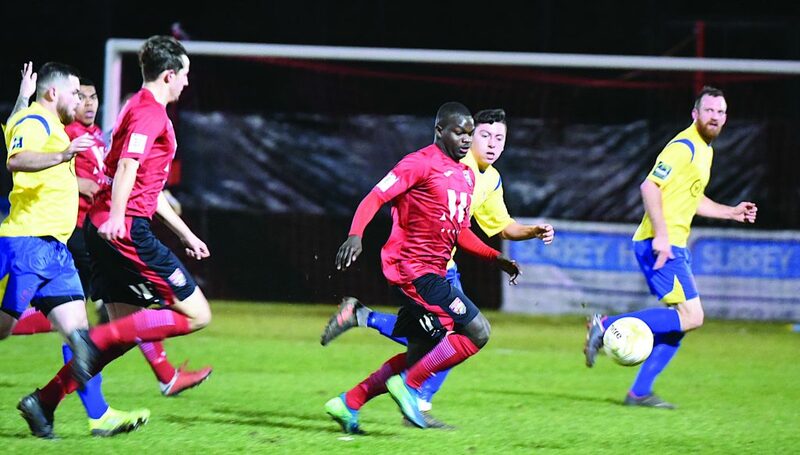 A BRILLIANT first 30 minutes from much-changed Knaphill inspired them to victory at Walton & Hersham, despite The Swans mounting a gritty comeback. 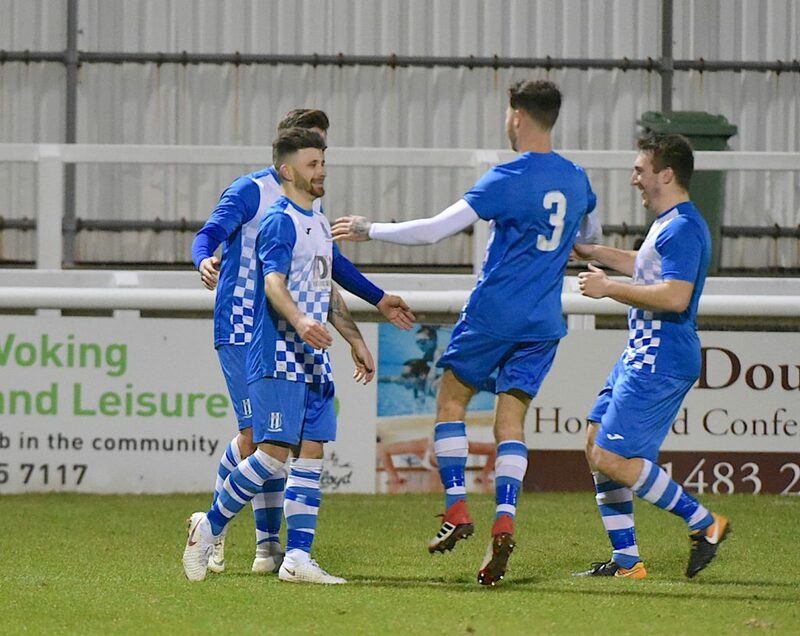 Although The Knappers saw off Fleet Spurs last midweek in the Cherry Red Records Premier Challenge Cup, manager Richard Keown shuffled his pack. 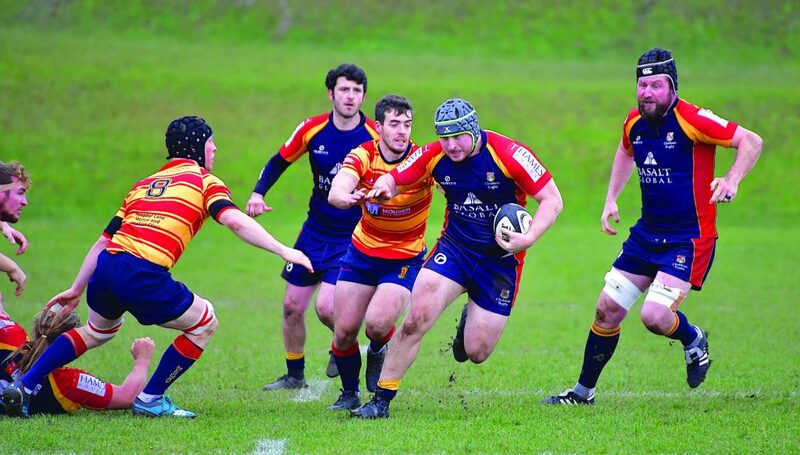 He made five changes to his side for last Saturday’s clash with relegation candidates Walton at Elmbridge Sports Hub. And it seemed an inspired decision as the villagers found themselves three goals to the good inside the opening 23 minutes on the 3G surface. Knaphill moved ahead after only six minutes, Jack Leighton nipping in at the near post to bury Scott Costello’s cross. One became two shortly afterwards, when Matt Kellet-Smith rose highest in the box to head home a free-kick. The goal was the defender’s ninth of the campaign. And The Knappers were in dreamland midway through the first period, when Sheridan Campbell made it 3-0. Campbell played a one-two and lashed the ball past the onrushing gloveman. Walton slowly recovered their composure and gave the scoreline a flattering look by cutting the deficit on the stroke of half-time thanks to an 18-yard drive. The Swans were fired up for the second half and gave Knaphill’s defence a tough time. However, it wasn’t until the 80th minute that Walton scored again – yet it was enough to produce the possibility of a grandstand finale. There was another goal, although it didn’t go the hosts. The Knappers raised their game and debutant Martin Smith nutmegged Walton’s keeper with time running out to ensure maximum points went to the Redding Way outfit. Walton’s marksmen were Patrick Kirby and Tyreke. KNAPHILL crashed out the Senior Senior Cup in the cruellest way possible after losing 8-7 to a Kingstonian side 55 places above them in the football pyramid. Knaphill boss Richard Keown made four changes to the side that drew 2-2 with Horley Town, while The Ks made six changes to their side that beat Bishop Stortford 3-0 last Saturday. After a fairly non-eventful first half, which saw neither side register a clear shot on target, Knaphill notably led the charge in the second half. Jacob McDonald came close to giving the hosts the lead, but Robert Tolfrey stood firm at the near post to keep the hosts at bay. The visitors then came close to scoring themselves when Shaun McHolly hit the post from a freekick, with Kevin Wheeler saving well from the rebound. However, The Knappers’ resilience paid dividends when Sheridan Campbell squared the ball for Eugene Hagan-Morgan, who saw his shot saved from point-blank range, only for Felix Ahorlu to find the net after 72 minutes. The Ks’ hit back four minutes later from Thomas Brewer, who toe-poked home from a goalmouth scramble. Both sides went in search for the winner in normal time, but it finished 1-1 and went straight to a penalty shoot. With 13 of the opening 15 penalties converted, it was left to Matthew Kellet-Smith to keep the Knappers in the sudden death shoot-out. Unfortunately, Tolfrey guessed correctly to save his spot-kick to send The Ks through. Kingstonian will now play Carshalton Athletic in the next round of the competition. 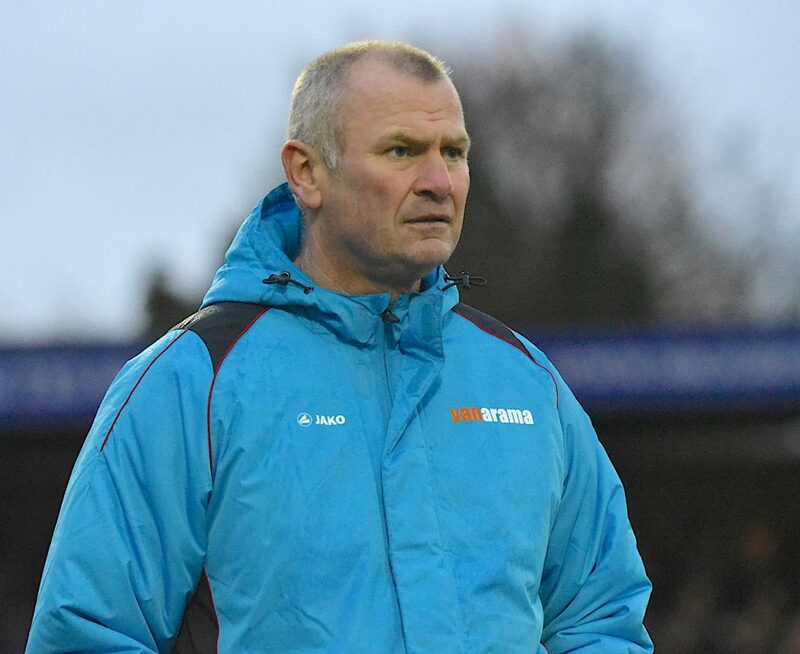 WOKING manager Alan Dowson has said that his players have nothing to reproach themselves on after going down 2-0 to Watford in the Third Round of this year’s Emirates FA Cup. With the estimated value of The Hornets 18-man squad thought to be worth in region of £150 million, many expected the National League South minnows to be stung for six. 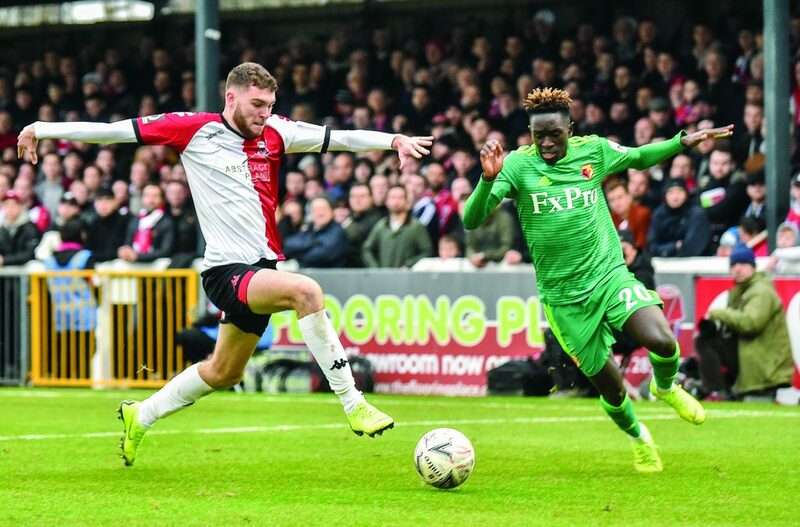 However, in front of a capacity crowd of 5,717 at The Laithwaite Community Stadium, The Cards held their nerve against a Watford squad packed with Premier League and international experience. In the end, two goals from Will Hughes and Troy Deeney proved to be the difference. 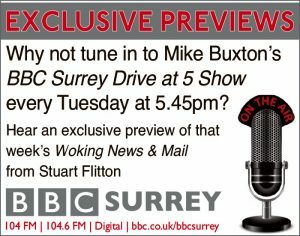 Speaking to the News & Mail on Tuesday, Dowson had nothing but admiration for his players and club officials alike for a “great spectacle” and putting the town of Woking on the map. “It was a magical day for the club. After I had finished all the interviews, I went down to the Kingfield Arms (pub just along the road from the ground) and the atmosphere in there was unbelievable. You wouldn’t have thought that we had just lost a game of football. “Everyone was in great spirit – it was great to see and be part of,” he said. 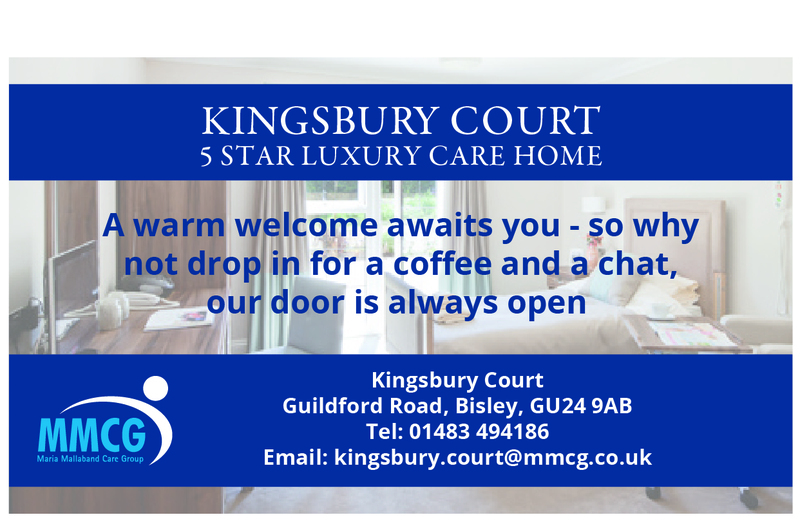 “I have really good memories from the day; those that I can remember come Monday morning. “At one point, all I could recall having to do so many back-to-back post-match interviews, I thought I had my own chat show. “Joking side, though, it’s important to not let the hangover of the FA Cup affect our league form as that’s ultimately what the players and I will be judged on at the end of the season,” he added. 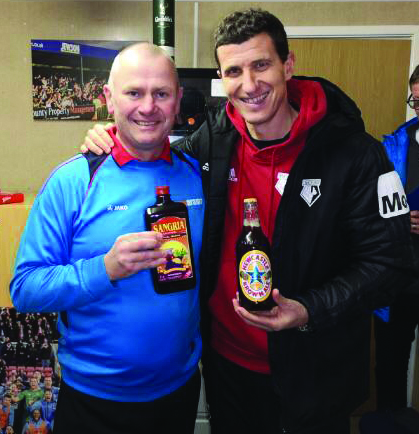 True to his word, Dowson gave Hornets’ boss Javi Gracia a bottle of his trusted Newcastle Brown Ale after the match in parting exchange for a bottle of Sangria. While the Geordie’s offering may have been a world apart from the fine wine and fine dining his opposite counterpart has grown accustom to in the Premier League, he was grateful for the gesture; albeit the Spaniard was slightly more perplexed when Dowson told him to “neck it”. “I haven’t opened the bottle of Sangria yet, but I will do. I was going to have a dry (no alcohol) January, but February only has 28 days, so I’m going to hold off ‘til next month,” jested Dowson. “The important thing now though is that we can properly focus on the league. We’ve still got 19 games to go; and although we’re currently second in the league, a lot can change between now and the end of April. I need to make sure that the players’ heads are on it. There can be no room for complacency whatsoever. 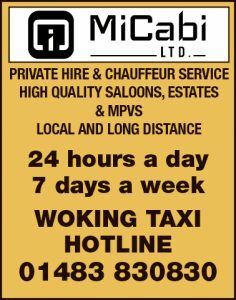 “I just hope that people who came along to the Watford game are able to come back and cheer us on in the league against Wealdstone (at home) on 26 January. 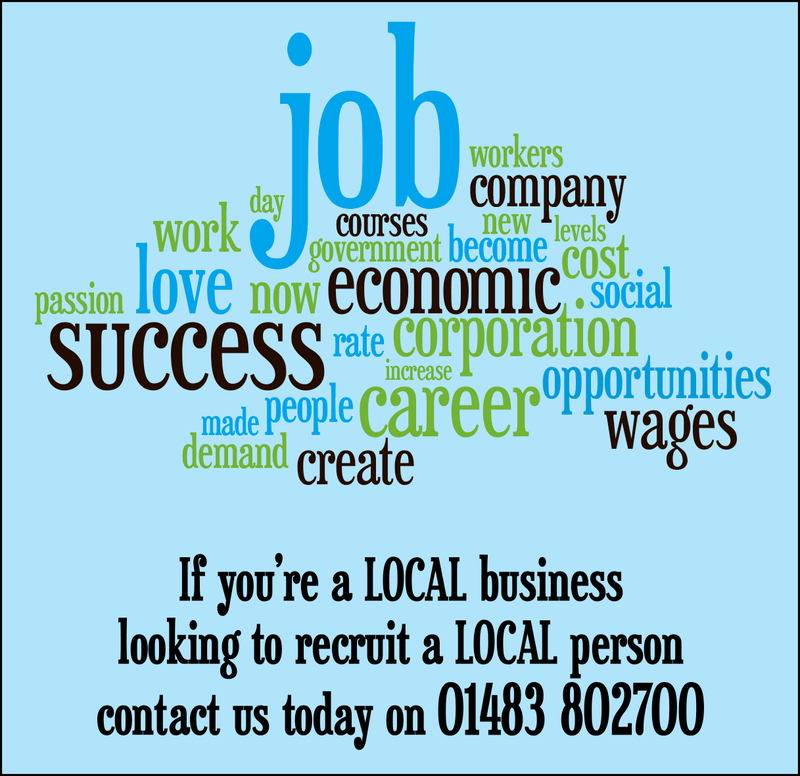 After all, a successful football club always creates a feelgood factor for the local community,” he added. Having amassed over £200,000 from this year’s FA Cup competition alone, The Cards are now able to balance their books and meet their full operating costs until at least the end of the 2018-19 season. 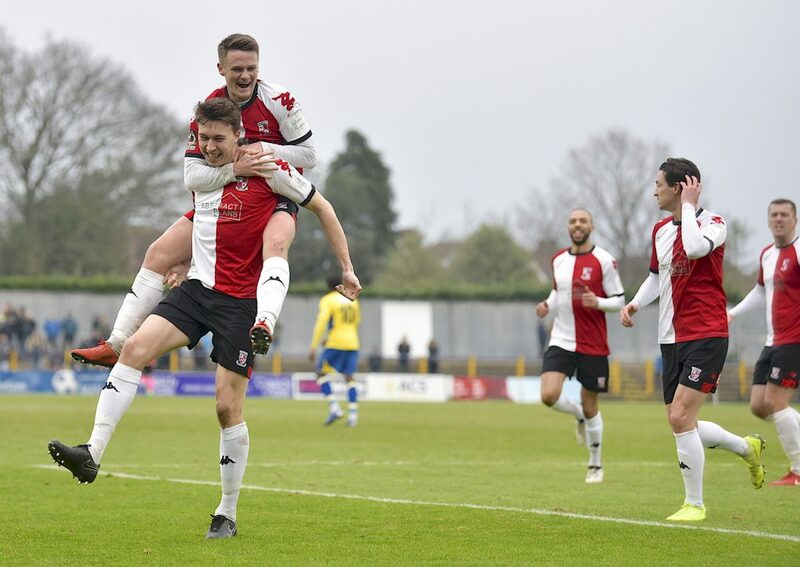 The only question that now remains: can Woking trump rivals Torquay United to win the National League South championship and gain automatic promotion back to the National League top-flight at the first attempt?